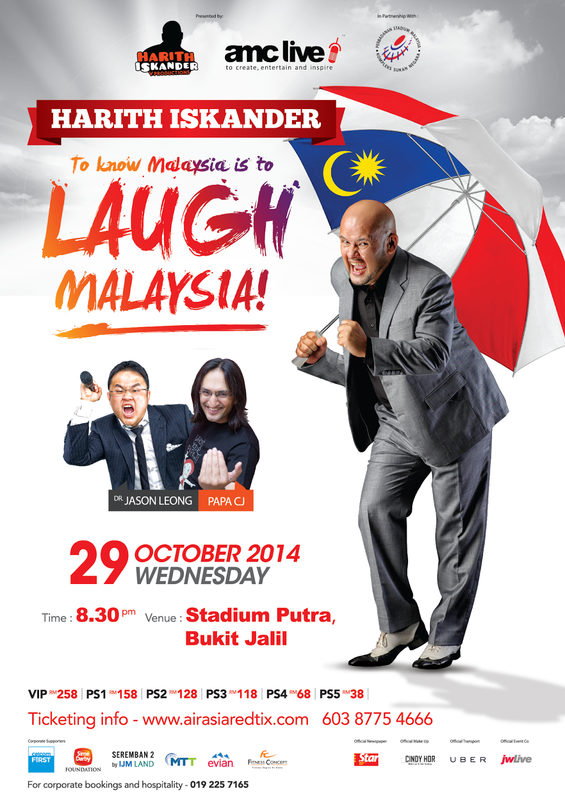 Let’s Laugh Malaysia with Harith Iskander! WARNING: Make sure you have coffee with you before reading this! Hi Everyone! Hope everyone is doing well! That day I have met a funny guy! He’s the godfather of comedy, he is a Malaysian and yes, he is bold! He is the awesome Harith Iskander! And I actually met him in person! It was truly an honor to be able to meet him in person at and here’s the story! I went to Espressonlab the other day just to meet the awesome Harith Iskander. Honestly I love to watch his shows and do you know that you can have a chance to catch him in an upcoming event? Yes it’s Laugh Malaysia! 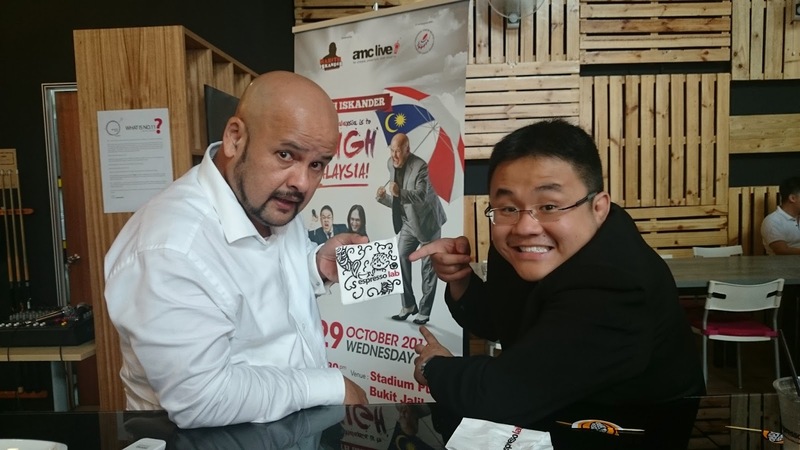 In his awesome mission to make all of us LAUGH, he will be holding court at Stadium Putra Bukit Jalil, KL on 29th October 2014! A show not to be missed….and it’s just a few days left! To him, To Know Malaysia is to Laugh Malaysia, and I second that! Jointly produced by Harith Iskander, V Day Productions & AMC Live Group, in partnership with Perbadanan Stadium Malaysia, ‘Laugh Malaysia’ promises a night of rip-roaring laughter to its audience. 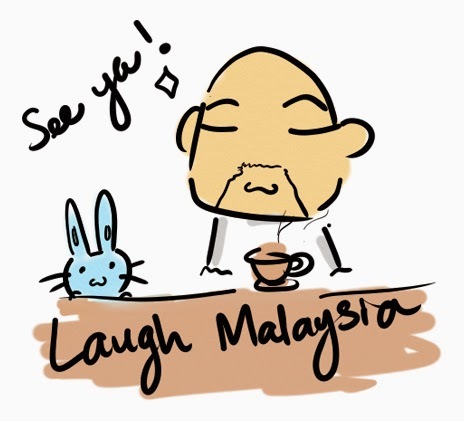 ‘To know Malaysia is to LAUGH MALAYSIA’ will also feature one of the best of the new crop of Malaysian comedian’s, Dr Jason Leong, as well as special guest Papa CJ – one of India’s most influential comedians. Now back to me and Harith iskander, he said that” It’s time for Malaysians to turn DISTRESS into DE-stress” and well, seeing him makes me happy!! Joining in the effort of uniting Malaysians through laughter are also big hearted Malaysian corporations that have stepped up to support this event under the LAUGH MALAYSIA Umbrella namely Celcom First, Sime Darby Foundation, Seremban 2, MTT Priority and Pemandu. To make the show even more meaningful, percentage of profits from ticket sales will be channelled to OrphanCARE, a charitable NGO that strives to place abandoned children in homes with loving families! Awesome right? Wow! Exciting!! Can wait to meet him in person! When is the closing date to but the tickets? Interested! Never taught that coming! Really smart one Kendy! You can visit http://www.AirAsiaRedTix.com or call them at 03-8775 4666. Hope this helps!